Do You Remember that Alka Seltzer Commercial? What is Acid Reflux, GERD or Heartburn? First, let's tell you how to make an herbal tea! How is Acid Reflux in Children Treated? If you're anything like me, that jingle is now stuck in your head (sorry!). The thing is, while over-the-counter meds may help symptoms short-term, they are not usually the healthiest choice, nor do they ever address the root of the problem. So, let's get started with finding out exactly what acid reflux, heartburn, dyspepsia (upset stomach), and indigestion are, what causes them and then let's delve deeply into what we can do, naturally, to give you relief! But be warned – this article contains a TON of info. To help you navigate to the information you are really interested in, use the Table of Contents to your right! Gastroesophageal reflux disease (GERD) is the medical term for what we know as acid reflux, dyspepsia or heartburn. It is a digestive condition where the stomach acids flow back into the esophagus (the gullet or tube which connects the stomach to the throat). The regurgitated acid most often consists of a few compounds: acid, bile, and pepsin. Stomach acid is used in the digestion of food and can be a major irritant to the esophagus due to its tendency to damage tissues. Bile is created in the liver and may back up into the stomach, causing it to be released. Pepsin, the last common compound, is actually an enzyme which helps to kick-start the stomach into breaking down proteins. It causes a burning sensation as well as pain in the abdomen and chest. This condition is very common and affects millions of Americans daily. It can become quite serious if left untreated and lead to inflammation of the esophagus, anemia, an ulceration of the esophagus and cancer of the esophagus. Acid Reflux occurs when the lower esophageal sphincter does not close properly and stomach contents back up or reflux into the esophagus. This condition can damage the lining of the esophagus, causing such problems as ulceration and even esophageal cancer. Do get a doctor's or practitioner's opinion to see if further treatment is necessary. If you have asthma, this may be an underlying cause of heartburn. It has been found that asthmatics are twice as likely to have GERD as non-asthmatics. Obesity seems to increase the risk of GERD. Research documented in the Annals of Internal Medicine show that as body fat increases, so did symptoms of heartburn. Gastroparesis is a delay in the gastric emptying of the stomach. This delay causes the contents of the stomach to back up into the esophagus. Hiatal Hernia occurs when the upper part of the stomach pushes through an opening in the diaphragm causing reflux of stomach acid. Peptic Ulcers in the stomach are considered gastric ulcers or stomach ulcers. Duodenal ulcers occur in the duodenum. Both of these types of ulcers are referred to as peptic ulcers and can be an underlying cause of heartburn. Laryngopharyngeal Reflux occurs when the upper esophageal sphincter doesn't function properly. Acid will flow into the throat. When this occurs, it is referred to LGR. Pregnancy is also an underlying of cause of heartburn, even if a woman has never experienced this before she was pregnant. Once afflicted with acid reflux, a person will generally continue to face the disease for the rest of his or her life. The Esophagitis which is caused by acid reflux can also be expected to be a life-long problem. Once treatment for acid reflux has begun, a patient is usually advised to continue taking the medication for as long as they want to prevent the disease from affecting them. It may surprise you to know that research has shown most people experience a minor form of regurgitation on a fairly frequent basis. However, those afflicted with heartburn have a higher acid content in the liquid brought into the esophagus than the liquids of a person who doesn’t have the disease. The fluid also often stays in the esophagus for longer periods of time. Our bodies do the best they can to prevent acid reflux from actually causing harm. During hours in which a person is awake, the reflux is usually remedied by a simple swallow. Also, the saliva generated in our salivary glands contains bicarbonate, which is a neutralizing agent to the effects of acid. When we sleep, however, we are usually horizontal, causing acid to rest in the esophagus for extended periods of time, which often leads to greater damage. Acid reflux often leads to heartburn, which is pretty much the defining characteristic and symptom of reflux. The pain of acid reflux can actually be quite similar to angina, which is a serious heart condition. For that reason, you should go to a doctor if you experience heavy heartburn. Acid reflux is most commonly experienced after eating a meal. People who are afflicted with acid reflux may also experience a complete regurgitation of liquid, leaving a nasty taste in their mouth and esophageal damage. Nausea can also occur in some people with reflux, and it may be accompanied by full-out vomiting. The diagnosis of acid reflux is based on the symptoms presented, a thorough physical examination and review of your medical history. Certain diagnostic tests such as barium x-rays, endoscopy, biopsy and PH testing may be performed to confirm the diagnosis. The more you know about a disease, the more you can minimize its effects on your health. Acid reflux is present in at least thirty five percent of all overweight people and is also a problem for a vast demographic. The more you know about acid reflux, the better chance you have at not triggering its effects. More than sixty million Americans experience heartburn due to acid reflux at least once per month. That represents roughly one fifth of the entire American population! Also, approximately twenty five million Americans, or one twelfth of the total American population experience the harmful effects of heartburn/acid reflux on an everyday basis. About 20 percent of all adults get heartburn at least once a month. Between 5-15 percent of adults have severe heartburn. About 25 percent of pregnant women have daily heartburn and 50 percent have heartburn at least once a month. Heartburn at night appears to be worse than heartburn during the day. According to research in The Chest Journal, people have more trouble sleeping at night because of the pain they experience from the heartburn. Acid stays in the esophagus longer when one lies flat. Acid reflux can be more harmful to your mental health than you may realize. Roughly eighty percent of all acid reflux sufferers experience symptoms of the disease at night, with about seventy five percent of all acid reflux cases waking the afflicted person due to the heartburn. This can cause many problems during the day, including increased irritability, lack of proper concentration, and an increased risk of being in an accident involving an automobile. While heartburn is technically incurable, there are things that you can do to help offset the chance of you getting this disease. If you worry that you're at risk for an acid reflux condition, it's important to review the types of foods you're eating and change your habits to reduce the number of acid-creating foods you ingest. Smoking and alcohol usage can contribute to an acid reflux problem. When you smoke, the acidity in your stomach is increased, which can cause acid reflux that is already occurring to be more damaging to the esophagus. Also, nicotine is known to relax the lower esophageal sphincter muscle, which, when operating incorrectly, is one of the leading causes of an acid reflux condition. Alcohol performs much of the same process on the lower esophageal sphincter, causing it to relax and allowing reflux to creep into the esophagus. Although food is not the root cause of heartburn, it can aggravate the situation. Foods such as onions, garlic, tomatoes, chocolate, peppermint, citrus fruits, alcohol, soda, coffee and fatty foods can worsen heartburn symptoms. A bland diet will not cure heartburn. Heartburn symptoms in some people can cause chronic cough, asthma, wheezing or choking. While acid reflux is a disease that can affect anybody, there are some demographics which face a higher risk of developing it. Overweight people put pressure on their stomach while sleeping due to the weight of the abdomen, and this can weaken the lower esophageal sphincter to a point where acid reflux occurs. Aspirin and Ibuprofen can aggravate heartburn. This same risk also occurs in pregnant women; the additional weight of the baby can put a lot of added pressure on the stomach. The elderly also need to watch their lifestyle habits to ensure that they do not become afflicted with acid reflux. When acid reflux is left untreated, it can lead to many serious consequences. Due to the fact that acid is continuously in the throat, many problems can arise, including Barrett’s esophagus, erosive esophagitis, esophageal strictures, and in the most extreme cases, esophageal cancer. Observe episodes of indigestion for changes in symptoms. If character, timing, frequency or severity changes, a more serious disorder may be responsible. These include heartburn from irritation of the lower esophagus, gallbladder disease, ulcers or stomach cancer. One of the more effective natural remedies for acid reflux is diet change. Cutting off foods and drinks that trigger the onset of the disease helps improve your condition. By avoiding spicy foods with pepper or chili powder, garlic and raw onions, citrus foods like tomatoes, oranges, and grapefruits, fried or fatty foods, alcohol or anything with caffeine such as coffee, tea, soft drinks, heartburn and indigestion can be greatly lessened or avoided. Spicy foods: You love that big plate of Mexican food, but chances are, if you suffer from acid reflux, it will only worsen your condition. Chinese food is another common culprit of these attacks. Spicy foods and foods that contain a lot of pepper are not things that you want to eat when you have acid reflux. If you simply cannot give up your spicy foods, then try to eat it in a smaller amount or try a milder version. Citrus fruits: There are plenty of fruits that have a high acid content. Citrus fruits fall into this category. If you suffer from acid reflux, then you may want to eliminate certain citrus fruits. Avoid lemons, fresh lemonade, oranges, limes and fruit juices. Even strawberries and cantaloupe can trigger the attacks. Fatty and fried foods: Fast foods have advantages. It is quick, easy and yummy, too. However, this can cause you to have an acid reflux attack faster than just about anything else. When you eat this kinds of foods, you are asking for trouble. Instead of grabbing fried chicken or those greasy French fries, try the baked varieties instead. Chocolate: You love your chocolate, and who doesn’t? But did you know that eating chocolate when you are prone to heartburn and acid reflux can exacerbate this problem even further? It is true. When you already have problems with acid reflux, you will need to curb your chocolate craving more than ever. Tomatoes: Tomatoes are in a lot of foods, but it can certainly trigger you acid reflux. Fresh tomatoes as well as other tomatoes based foods will cause you a lot of problems later on in the day. Think of the pizza sauce, spaghetti sauce and other tomato-y foods. Avoid these if you want to avoid acid reflux. Onions and garlic: You have to have onions and garlic to make your foods tasty, but think twice. When you have acid reflux, this is a recipe for disaster. When you add these flavorful foods to your dishes, you will certainly have problems. These are all common foods that can easily cause problems with acid reflux. Be nice to your digestive system and avoid these foods if at all possible. Just as there are foods that can worsen indigestion, there are also foods that can help heartburn and stomach upset. For overall healthy digestion and to minimize acid reflux, make sure you get plenty of fiber from a variety of vegetables, non-citrus fruits, and whole grains. Drink enough fluids to help your body absorb important nutrients and lubricate food waste, and use low-fat methods when cooking. Try drinking herbal chamomile tea after dinner or before bedtime, as it’s believed to have a calming effect on the stomach. The Breakfast of Champions – Make your morning meal oatmeal. It’s high in fiber, low in saturated fat and cholesterol and when combined with skim milk, gives you a calcium-charged boost to your day. By adding blueberries or raisins you’ll be adding some extra iron and potassium into the mix for a well-balanced meal. Poultry Prescription – You can't beat turkey if you want a lean, nutrient-packed protein source that'll be easy on your stomach. Turkey is high in niacin, which helps lower cholesterol levels in the blood. Chicken without the skin is also a terrific low-fat source of protein. Both are easy to cook either indoors or out. Don't Forget the Fruit! Apples and grapes are low in saturated fat, cholesterol, and sodium, and are a great non-citrus fruit choice for vitamin C and fiber. For overall healthy digestion and to minimize acid reflux, make sure you get plenty of fiber from a variety of vegetables, non-citrus fruits, and whole grains. Drink enough fluids to help your body absorb important nutrients and lubricate food waste, and use low-fat methods when cooking. Apples and grapes are low in saturated fat, cholesterol, and sodium, and are a great non-citrus fruit choice for vitamin C and fiber. You can’t beat turkey if you want a lean, nutrient-packed protein source that’ll be easy on your stomach. Turkey is high in niacin, which helps lower cholesterol levels in the blood. Chicken without the skin is also a terrific low-fat source of protein. Both are easy to cook either indoors or out. Fresh papaya and its seeds (or Papaya tablets) can be eaten to help with digestion. Bananas and plantains are an old folk remedy for many gastrointestinal problems because they soothe the digestive tract. Plantains, a close cousin of the banana, contain an enzyme that stimulates mucus production in the lining of the stomach, helping to relieve upset and heartburn. Carrots Chewing a handful of carrots makes your stomach and esophagus feel better quickly. Chewing carrots leads to more saliva production leads to more enzymes flowing. This means faster digestion. More and more people are turning to alternative medicine in search of a solution for their health issues. While alternative medicine spans everything from massage to hypnotism to yoga, most people end up trying herbal treatments. Aside from the claims that herbal treatments are effective, many people believe that unlike the synthetic medicines manufactured by large pharmaceutical corporations, herbs come without side effects. This isn't true. In fact, herbs can have very dangerous side effects. For this reason, it's always smart to check with your physician before adding herbs to your diet, especially if you're taking any other medications. Now, in relation to acid reflux, many people stop taking over the counter or prescription drugs after experiencing unpleasant side effects. According to studies, some antacids interfere with the body's absorption of vitamin and calcium. In some instances, antacids affect digestive activities by shutting down stomach secretions thus relieving the sufferers temporarily but not really curing the problem. In addition, long-term use of antacids can lead to constipation. Different people also have different reactions to drugs. Some medications will relieve heartburn in some people but may not have the same effect in others. This results in people trying one brand of antacid after another in order to find something that works, which exposes them to greater complications. These struggles to find a workable solution often lead sufferers to search out alternative solutions such as herbal treatments. A single type of herbal tea or a single herbal capsule appears to many to be an excellent alternative to what hasn't been working. In the same vein, sufferers come to believe that the fewer medications they take, the less chance they have of exposing themselves to toxins. Another reason people shift to alternative medicines for their acid reflux is that antacids use sodium bicarbonate, aluminum hydroxide, magnesium hydroxide, calcium carbonate, aluminum phosphate, or a combination of these substances to neutralize stomach acid. Scientifically, these have inhibiting effects on the functions of the human anatomy. For instance, hydrochloric acid (which is associated with food digestion and the absorption of necessary nutrients and vitamins) becomes neutralized. When hydrochloric acid is neutralized, the stomach produces even more acid to compensate for what's been lost. You see, instead of curing the problem, we create another problem. Acid rebound, the term used for this condition, is a common result when the stomach produces additional acids to replenish those that have been neutralized. Cinnamon – Besides its role in controlling flu and cold, cinnamon is an effective antiseptic and a trusted antacid. To use it for settling an acidic stomach and heartburn, toast and butter some raisin bread and spread some cinnamon along with a little cardamom on it. Chew the bread slowly and thoroughly before swallowing. Pineapples – Pineapples, one of the most cherished fruits, provide one of the most effective herbal remedies for acid reflux. Pineapples are rich in enzymes, especially in Bromelain, which reduce protein. These enzymes facilitate digestion, reduce the inflammation, and aid healing. Fresh pineapple juice is rich in these enzymes. Peppermint – Peppermint is an age-old indigestion remedy and a good deal of research validates the folklore. A few herb advocates believe that peppermint can actually aggravate heartburn. If this happens to you, don't use this herb. Angelica: Angelica is a carminative and a relative of the carrot which produces a soothing effect on the digestive tract. Chamomile: To help relieve acid reflux, drink a cup of chamomile tea, steeped for 10 minutes, three times a day for 1-3 weeks. Chamomile is an officially approved acid indigestion treatment in Germany. It eases spasms and acts as a sedative to calm nerves. Indian Gooseberry – Research has shown Indian gooseberry to significantly reduce acid secretion. You can eat this herb raw, though it's more commonly used in the form of tea. While there are no side effects, it's wise to use Indian Gooseberry in moderation, since it can serve as a laxative with overuse. Melissa – Melissa officinalis is well known for its soothing and calming properties as well as being widely prescribed by herbalists for the relief of all complaints related to anxiety and stress, making it a great choice when treating gastrointestinal complaints. Black Pepper – Black pepper stimulates digestion. It's easy to add to recipes for additional flavoring and generally no more than a teaspoon is necessary for effectiveness. Chicory Root Tea – Chicory is one of the bitter herbs, containing endive and escarole. Boil one and a half cups of chicory root for five to ten minutes. After it cools down, drink this tea to relieve acid reflux or heartburn. Orange Peel Extract – Researchers believe orange peel extract aids the movement of food through the esophagus to the stomach, reducing the potential for heartburn to develop. 1,000 mg of orange peel extract taken every other day for 20 days is the most common dosage. Fennel Seeds – Fennel seeds are one of the lesser-known remedies for acid reflux, but they are very effective. These seeds are rich in anethole a compound that is capable of suppressing spasms of the stomach thus relief to acid reflux. The seeds can be consumed by chewing them slowly after meals. Ginger Root – Researchers believe ginger root helps absorb stomach acid. In addition, it calms nerves, which can help minimize heartburn or an upset stomach due to stress. Dill: Like cinnamon, dill is a carminative and has been used for 1000s of years to calm acid stomachs and soothe the digestive tract. Try crushing a few teaspoons of dill seed and steeping them at least 10 minutes in hot water for a tea. Slippery elm is often suggested for treating acid reflux, according to University of Maryland Medical Center. This herb contains mucilage, which becomes a gel when it's mixed with water. It soothes and coats your stomach, throat and mouth along with your intestines. To take it as a tea, pour 2 cups of hot water over 2 tbsp. of powdered bark. Steep it for three to five minutes. Consume it three times daily. The Mayo Clinic also cites marshmallow root as an herb that can be used to combat GERD. Marshmallow also contains mucilage. Use the leaf for tea, placing 2 to 5 tsp. of dried leaf in 5 oz. hot water up to three times daily, according to University of Maryland Medical Center. Licorice – Licorice acts like an antacid and is sometimes used for constipation as well. It comes in a powder form that can be used as a tea. Three teaspoons of powdered licorice is the recommended daily limit. Too much licorice can create side effects such as headaches and high blood pressure. Learn about herbal preparation methods HERE. Tea has been used for thousands of years to soothe and ease a variety of health problems. In fact, tea is the most consumed beverage in the world, aside from water. Herbal teas have also proven to be a good choice for those searching for a natural heartburn herbal remedy. Black, green and red teas contain polyphenols which is an antioxidant that helps to protect our body from free radical damage. The polyphenols found in tea have been shown to provide anti-cancer properties through numerous studies. Additionally, these same studies have suggested that drinking several cups of tea each day may also reduce the risk of gastric and esophageal cancers. But not all teas are created equal. The leaves from black, green and red teas come from a warm-weather evergreen tree known as Camellia sinensis. However, what we consider herbal teas do not come from this tree at all. In fact, herbal teas aren't really teas but are infusions called “tisane” that are made from various herbs, flowers, roots, and other parts of some plants. Tisane does not contain as much polyphenols as true tea does, although they can be very beneficial in other ways. When looking at how to get rid of heartburn, you may find some “herbal teas” are more advantageous in regards to easing heartburn symptoms, acid reflux and other gastrointestinal disorders, than others. Unfortunately, some teas may aggravate these conditions rather than relieve them, so choose your herbal tea remedy wisely. Aniseed helps with digestive conditions. The ash-colored anise called green anise, European anise or sweet anise is the proper choice. Peppermint helps with digestion, stomach distension, cramps, ulcers, and gas. Lavender is effective at reducing the acid in the stomach. Here’s how you can make it: mix equal quantities of all the three herbs. Boil two and a half cups water and pour them over a teaspoon of the mixture. Let the tea sit for approximately five minutes. Then strain the tea and add a bit of honey (optional). Drink up to 8 oz in the morning and the same in the evening for relieving acid reflux. This is a very popular herbal tea used to treat a variety of health concerns such as indigestion, heartburn, anxiety, PMS, sleep disturbances and easing anxiety. It also helps to relieve the inflamed or irritated mucus membranes of the digestive tract (good for acid reflux sufferers) and helps to promote normal digestion. Used topically, it can also promote the healing of minor skin irritations and scrapes. However, since chamomile is found in the ragweed family, it could cause a reaction to anyone who has allergies to ragweed. No, not the big fluffy things you roast over the fire. In this case, it is the root that is used in herbal medicinal products. When taken internally, such as in a tea, marshmallow is known to ease bladder infections, and coat and soothe the gastrointestinal tract, sore throats, ease respiratory problems and promote healing of the urinary tract. It can also be purchased as a topical formula for use on burns, scrapes and inflammatory skin disorders. The oil within the peppermint helps to stimulate the flow of bile to the stomach and relieve gas pains, calm heartburn, and settle an upset stomach and nausea. On the other hand, studies have also indicated that drinking peppermint, spearmint or other strongly spiced teas actually causes the LES to relax even more, resulting in additional acid reflux. Since the reports are conflicting on how effective peppermint tea may be in aiding heartburn relief, you may just wish to try it for yourself and see which group you fall into. To four ounces of water add two teaspoons each of cinnamon, lavender flower, baking soda, peppermint leaves and one half teaspoon ground ginger and allow to steep like a tea. Strain and drink warn in half-cup quantities after meals. Pour 1 cup of boiling water over it, steep, covered for 5 minutes and consume. You can also add some grass-fed gelatin powder (about a tablespoon) for a long-lasting soothing effect. Cut a 1 ½ to 2 inch piece of fresh ginger, peal and slice very thin. Set aside. Boil three cups of water in the microwave or stove top. If using the microwave, remember that water can super heat, so use caution and cover before removing. Pour boiling water over ginger, add a pinch of ground white cardamom, and let steep for fifteen minutes. Strain and drink. This great tea is a dessert in itself. Go all out and add a little honey or brown sugar. Honey can trigger the healing of tissues, such as the sphincter’s tissue. Green tea, in decaffeinated form, relieves stomach troubles and helps stimulate digestion. Add a teaspoon of honey to the tea and enjoy. Gastronic Dr is a 100% natural remedy with herbs to improve digestive tract health and promote healthy levels of stomach acid. It is also carries a one-year money back guarantee! Though herbs can be very effective at reducing incidences of acid reflex, and though they have a reputation for being natural and safe, you still need to use caution. Herbs can interact with other herbs, as well as with prescribed medications. Always consult with your physician before introducing herbs into your diet. Aromatherapy is the use of essential oils, and is a therapy that can benefit digestive disorders, not only therapeutically but can work as a psychological de-stressor, as well! Cinnamon: German health authorities (Commission E) approve cinnamon bark oil for mild gastrointestinal spasms, stimulating appetite and relieving indigestion. It is used in flatulent dyspepsia, dyspepsia with nausea, intestinal colic and digestive disorders associated with cold conditions. It relieves nausea and vomiting, and is particularly useful for infantile diarrhea. Ginger: is a warming oil and supports emotional well-being, as well as calms the digestive system. Also known as an antiseptic, laxative, stimulant and a tonic, it's commonly used for diarrhea, gas, indigestion, morning sickness, nausea, motion sickness, vomiting. Grapefruit: This wonderful oil has an energizing effect and is said to help with eating disorders. It is rich in linolenic, linoleic and oleic acids and has a astringent and toning effect when applied topically. It is a good detoxifier as it stimulates the lymphatic system helping to rid the body of toxins. It can be used for inhaling the aroma as it will help to reduce the craving for sweet foods and desserts. Peppermint: is an antibacterial, anticarcinogenic, anti-inflammatory, antiseptic, antiviral, antispasmodic and invigorating. It soothes, cools and dilates and can be beneficial for food poisoning, vomiting, diarrhea, constipation, gas, bad breath, nausea, motion sickness, infections, gastritis, heartburn, flu and cold, and indigestion. Rosemary: This oil is often used for indigestion, flautulence and stomach cramps. Rosemary leaves are often added to meat dishes as it helps in digesting meat, especially lamb, beef and pork. As a digestive assistant, it relieves constipation and diarrhea. General Tea Remedy: 1 drop peppermint diluted in 1 teaspoon honey and dissolved in a cup of warm water. Or, add to 1 oz of Sweet Almond Oil and massage on tummy. At the first sign of heartburn, massage the acupressure point between your solar plexus and navel. Massage this point first, gently in a clockwise motion and then slowly work deeper. This can actually relieve heartburn pressure and pain for months! A general reflexology treatment will aid indigestion, acid reflex or dyspepsia. Work the solar plexus, diaphragm and stomach areas; as well as the pancreas reflexes to release digestive juices and the enzymes necessary for digestion. Stimulating the liver reflexes helps remove waste and toxins; the gall bladder is worked to stimulate bile release; this acts as a mild laxative and the alkaline effect also helps stimulate peristalsis in the duodenum. Working the stomach and intestinal reflexes helps to regulate digestive, absorptive and excretory functions. 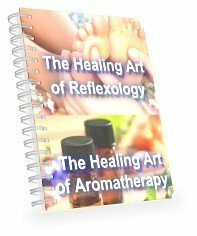 See both hand and foot reflexology charts HERE. Diaspor, Magnesite and Turquoise have been shown to have good results in relieving heartburn, with Diaspor being the most effective of the three. Place a crystal (Diaspor) or a tumbled stone (Magnesite or Turquoise) on the stomach; or wear as a bracelet, necklace or pendant. Alternatively, take as a gem essence (3-7 drops) or gem water (50-100 ml) taken in small sips over the course of a day. Learn how to make a crystal/gem essence HERE. Drinking plenty of water is also one of the best natural remedies for acid reflux, or, GERD, because it helps balance the stomach pH, thus, reducing the onset of acid reflux. It is also healthy to drink a glass of whole milk or skim milk to neutralize stomach acids. Eat small frequent meals instead of three large meals everyday. This will help lessen the pressure on your stomach, hence, preventing the back flow of acid into your esophagus. This is one of the more effective natural home remedies for acid reflux and can be prepared by mixing some parts of apple cider vinegar with some parts of water. This can be taken together with food and it will go along way in alleviating this condition. It is also helpful if you manage your weight. Daily exercise together with a healthy diet goes hand in hand with natural remedies for acid reflux and helps keep your body healthy as well. Being overweight is one main cause of acid reflux because of the excess fats that are pushing up to your stomach causing acid back flow. In a study performed in 2006, researchers discovered that people who were overweight were more than 50 percent more likely to develop GERD. Obesity more than doubled a subject’s odds of developing the disease. (GERD is also linked to hiatus hernias, so be sure to check with your physician if you continue to suffer from severe heartburn and tightness in the chest even after treatment). Scientists and nutritional specialists are also currently investigating the extent of the damage that being overweight or obese can cause to the digestive system. Many have already posited that digestive conditions such as Irritable Bowel Syndrome (IBS) are linked to excessive weight and obesity, and links to other gastrointestinal maladies are currently being explored. Wear properly fitting clothing that isn’t tight in the waist and abdominal area, and don’t lie down immediately after eating a meal. Homeopathic remedies are safe and effective to use for people of all ages without unwanted side effects. Carefully selected ingredients such as Calc phos, Carbo veg, Nat phos, Mag carb and Silicea helps to neutralize acid in the stomach as well as cleanse and eliminate toxins from the body and relieve symptoms of heartburn, indigestion, bloating and gas. Remedies can be taken 3 times daily in the 6c or 12c, or once daily in the 30c for chronic symptoms. One week on the remedy is often sufficient. Acid Free-Flux is a terrific homeopathic remedy formulated specifically for the treatment and prevention of acid reflux, indigestion and heartburn. Acid Free-Flux also carries a one-year money back guarantee! Mustard: To help prevent heartburn, take one tsp of mustard before your meal or add it to the dish you are about to eat. The vinegar in the mustard stimulates saliva production and reduces stomach acidity. Raw Potato: If you have a juicer, juice a raw potato, peel and all, then add an equal part of water to the juice and drink it immediately after preparation, 3 times a day. Kaolin: Kaolin, a type of clay rich in minerals that relieve stomach problems, and the juice of half a lemon in a glass of water can help relieve acute heartburn. Acidophilus: It promotes healthy bacteria in your intestines, which in turn regulate unhealthy bacteria. It is anti-inflammatory for the intestines and is especially effective toward diarrhea and lactose intolerance. While you often hear of adults suffering from acid reflux, it is certainly not uncommon for children to have the same problem. When you think it about it, it makes sense. In a normal person, food passes through the esophagus and the muscle will then close so the food can travel down in to the stomach. People with acid reflux have problems with this muscle closing properly, resulting in pain and discomfort known as acid reflux. When children have acid reflux, they can feel quite miserable. Parents may not understand what is wrong, especially with young children who are not old enough to verbalize their needs. Luckily, with changes in the diet and medications, acid reflux in children can ease. In fact, many children with this condition will grow out of it as they age. So, if you are a parent and your child is complaining about discomfort after a meal, how do you know what is wrong with your child? Is it the common stomachache or is it something a little more serious, like acid reflux? One way to know for certain is to look at the symptoms. Many of them will complain of abdominal pain above the belly button, along with one or more of the following: chest pain, sour taste in the mouth after eating, burning feeling in the throat, weight loss or not wanting to eat particular foods and being very picky about the types of foods eaten. Other symptoms that are common among young children with acid reflux include gagging and choking when eating, recurrent bad breath despite brushing and flossing, sinus infections, wheezing and coughing, especially at night, hard stomach and recurring ear infections. To the untrained eye, it does seem that these symptoms are rather random, but to your doctor, these symptoms will make sense. Your health care provider will be able to diagnose acid reflux in your child quite easily. After a physical exam, your pediatrician may order a series of other tests that could include an upper endoscopy, pH monitoring and lab tests such as a blood work up and a urine test. It is important that your doctor exams your child carefully to make sure the condition is not something that is more serious. After a diagnosis of acid reflux is made, there are several treatment options for your child. First of all, you will be asked to watch your child's diet. There may be certain foods that trigger the acid reflux, such as spicy foods. After that, your doctor may recommend over the counter antacids, such as Tums or Mylanta. The good news is that these medications are very safe for children. Acid suppressors such as Axid or Zantac may also be added to your child's orders. Last of all, if these things do not work well, then you doctor may look at prescription acid blockers. Work with your child's doctor to ensure that you child is getting the care he or she needs for this condition. It is also important to understand that your child will need to understand the condition to help prevent problems. Overall lifestyle changes. Stress can aggravate this situation. Change in diet can greatly decrease symptoms. (See foods above). Write down what you eat in a heartburn journal in order to identify which foods trigger pain. Allow time for leisurely meals. Chew food carefully and thoroughly. Avoid conflicts during meals. Avoiding refined carbohydrates (sugar, white rice, white bread), even honey & other “natural” sugars, except Stevia. Reduce acid production so that even if the reflux occurs there is less to irritate the esophagus. Eat small frequent meals so pressure in the stomach does not push contents back up. Do not eat late at night. Allow several hours of digestion time before laying down. Acid stays in the esophagus longer when one lies flat. Stay propped up at least 30-45 degrees after eating or drinking & while sleeping. By placing 2 in. blocks under the two legs of your bed at the headboard, can helped tremendously! Avoid caffeine for a while. Try to elevate your head at night, so that gravity helps to keep stomach contents from pressing against the valve. Avoid excitement or exercise immediately after a meal. Avoid situations that make you swallow air, such as exercising with your mouth open (breathing through your mouth) or chewing gum. Learn relaxation techniques such as meditation, yoga, controlled breathing and stress reduction. At first sign of heartburn, drink a large glass of water. Antacids are an over-the-counter medicine that relieves heartburn temporarily by neutralizing stomach acid. Dependence on antacids are dangerous. They can mask serious problems if symptoms persist. Antacids can also interact with certain prescription drugs and HIV medications. Check with your pharmacist or doctor. Stop Smoking. Chemicals in cigarette smoke can weaken the lower espophageal sphincter and worsen heartburn. If you have a juicer, juice a raw potato, peel and all, then add an equal part of water to the juice and drink it immediately after preparation, 3 times a day. Plant-based enzymes and probiotics can be very beneficial and should be taken daily. The enzymes in pineapple are also good for digestion but, this is an acidic fruit and for some people is not the right choice. It depends on the individual. Aloe Vera juice is incredible for healing of the intestinal tract. Vitamin B complex, 50 mgs, 3 times daily with meals is needed for proper digestion. Plus 200 mcg of Vitamin B 12, 3 times daily will enhance the Vitamin B complex. Acupressure massage. At the first sign of heartburn, massage the acupressure points between your solar plexus and navel. Massage these point first, gently in a clockwise motion and then slowly work deeper. This can actually relieve heartburn pressure and pain for months! Also, acupuncture works very well in treating heartburn and other gastrointestinal issues. There is a wonderful Chinese herbal remedy, which is a modified version of a Classical Chinese formula that is brilliant when it comes to treating heartburn. Gastronic Dr. –Natural remedy with herbs to improve digestive tract health and promote healthy levels of stomach acid. Learn More about Gastronic Dr.